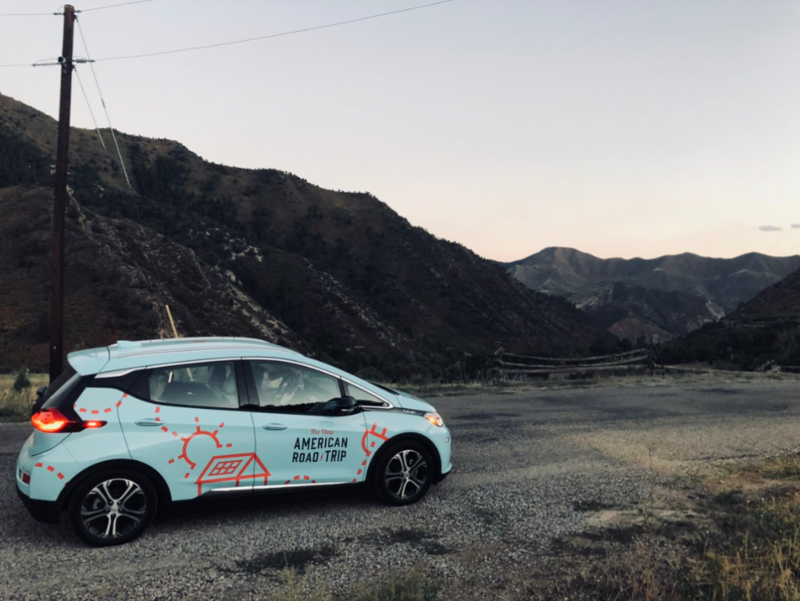 Tune in for a solutions filled show featuring stories from The New American Road Trip, a cross-country journey taking place right now in an electric car to highlight “Unsung Heroes of Climate Change”. Along the way, the trip is stopping to meet with local leaders, innovators, workers, and communities proving that America’s commitment to fighting climate change is real, is robust, and is going to move us forward to healthier, 100% clean energy future for all. The trip started last week at the Global Climate Action Summit in San Francisco, where local leaders in the U.S. and around the world set new ambitious goals to fight climate change. At the summit, city and state governments, business leaders and civil society signed a call to action showing their increased ambition to mitigate climate change. 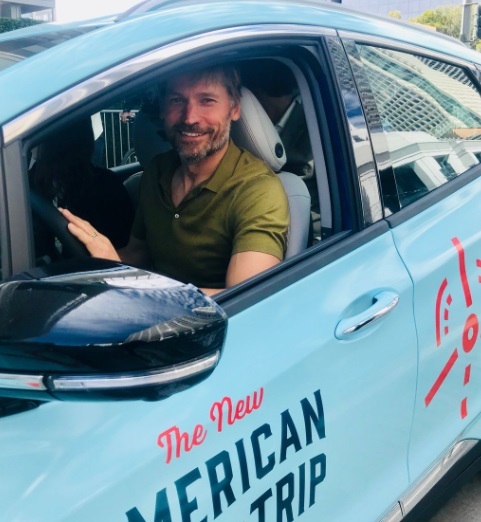 Since the summit, the trip has weaved its way across the country, gathering support for the call to action with events in Las Vegas, Boulder, St. Louis, and Pittsburgh featuring local leaders and special guests like actor Nikolaj Coster-Waldau (Game of Thrones). 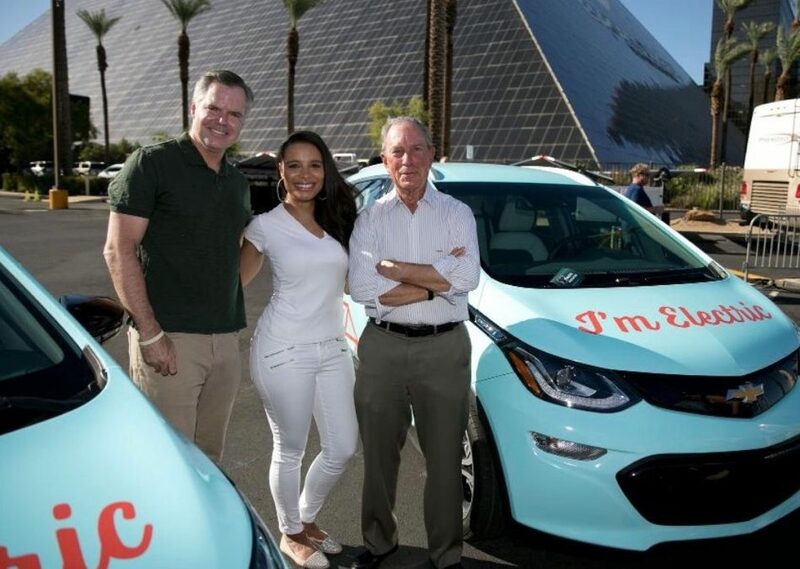 In Las Vegas, our co-host Antonique Smith joined Michael Bloomberg and CEO of MGM Jim Murren to highlight how renewable energy makes good business sense (picture below, story here). On Wednesday, September 26th, the trip will conclude by delivering the call to action at Climate Week NYC 2018 to French President Emmanuel Macron, a symbolic gesture to show that America is “still in” when it comes to fighting climate change. Joining us live on the air from the road trip will be the talented comedian, writer, producer, and activist, JC Coccoli, aka the Earth’s Fiercest Comedy Darling. She’s been helping drive and will share with us some of the stories from stops across the country. 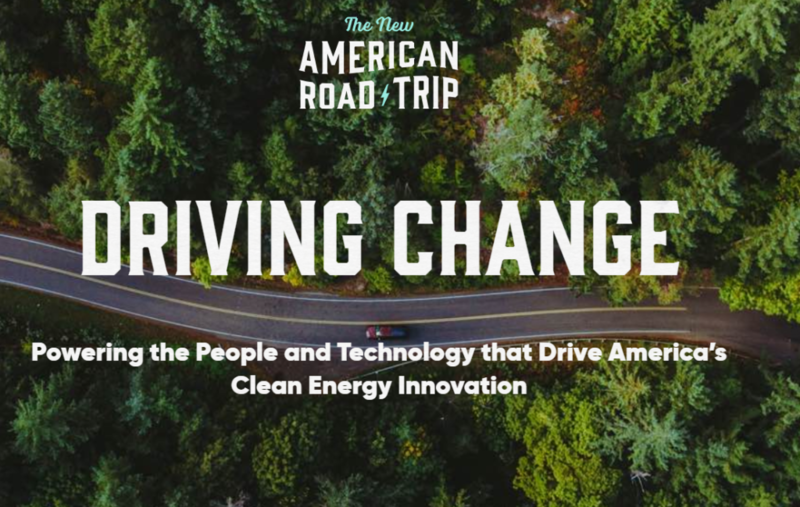 For more about the road trip, check out NewAmericanRoadTrip.com, and follow @newamericanrt, #NewAmericanRoadtrip, and the #UnsungClimateHeroes profile series to learn more about folks fighting for our future.